Less than 30 miles due east of Summit County, Georgetown Colorado, with its gorgeous Victorian homes and historic railroad, is an eventful and scenic highway stop. Georgetown Colorado is located along Interstate 70 at exit 228 east of the Eisenhower Tunnel about 28 miles outside Summit County. Georgetown is known for its Victorian homes, historic railroad and easy access to backcountry roads and trails. Several motels, restaurants and other basic amenities make Georgetown an excellent refueling station. Georgetown Colorado is a quaint roadside town with a preponderance of well-preserved Victorian-era homes and ample services. The Town of Georgetown Colorado is located along Interstate 70 at exit 228. Fuel up the car, body and mind at the various service stations, grocery stores and restaurants. Several good motel options sit right off the highway. Georgetown CO is a gateway to excellent backcountry tromping with skiing, hiking and off-roading aplenty, including vaunted Guanella Pass. Georgetown is a convenient place to bed down when skiing Loveland Ski Area and Arapahoe Basin, located directly east and west of the Eisenhower Tunnel, respectively. 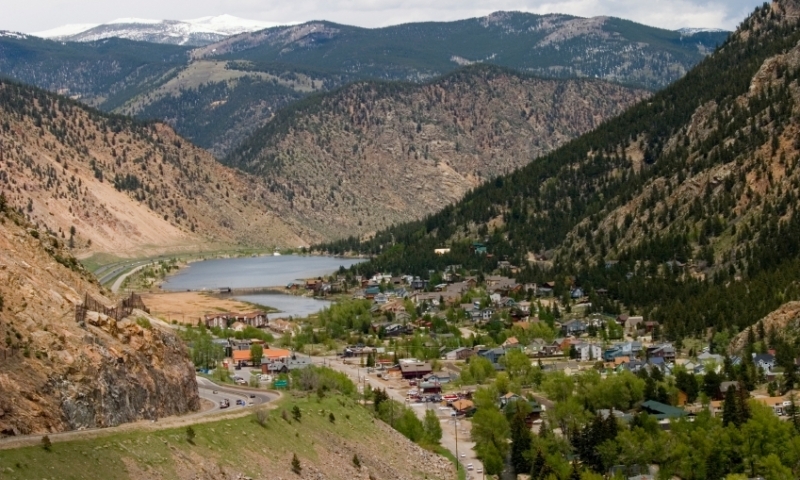 The Georgetown Loop Railroad is the town's biggest draw. Steam and diesel engine trains bring riders through Clear Creek Canyon all year-round. Prices start at $22.50 for adults and $16.50 for children. There are two routes to Georgetown from Summit County: Take Interstate 70 east through the Eisenhower Tunnel for about 28 miles to exit 228. Or the scenic route involves taking State Highway 6 over Loveland Pass, then getting back on I-70 at Loveland Ski Area. 11,990-foot Loveland Pass is a great place to hike, backcountry ski or simply enjoy a high-alpine sunset. Free parking is available on the pass and also at the prominent east-slope switchback. 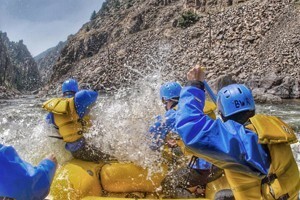 Official site for Clear Creek County in Colorado. Official site for the Town of Georgetown, Colorado. Historic Georgetown offers an account of the history of Georgetown. The Georgetown Energy Museum is housed at Georgetown's fully functioning Hydroelectric Plant. The Hotel de Paris is now an interesting historical museum, located in Georgetown.